I decided I'd like to try some natural products and my bestie told me about some new products she was trying called Boots Botanics. I headed to Target to check out the line and find out if there were any products that targeted what I wanted to focus on with my skin. 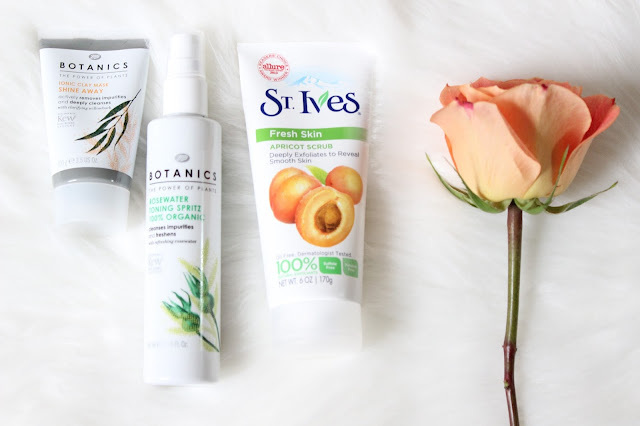 I thought it was really cool that the Boots Botanics line uses plant extracts and decided to give it a try. 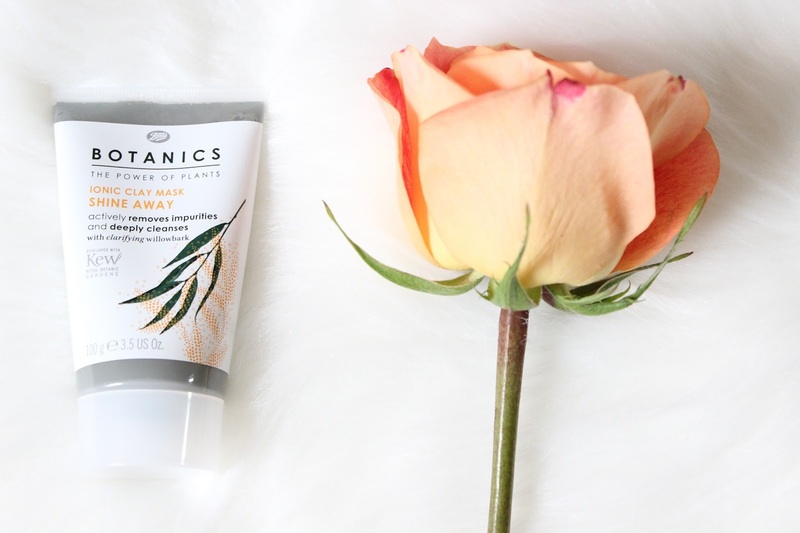 I've always wanted to try a clay mask so I purchased the Boots Botanics Ionic Clay Mask Shine Away. This product cleanses and removes oil and other impurities. I love how tight and soft my skin feels after I use the clay mask. Bonus, my skin is defiantly not oily after using this mask. I also purchased the Boots Botanics Rose Water Toning Spritz. I think this is my favorite Boots Botanics product so far. I've been trying a little more make up lately so I love that this spritz helps to remove any left over make up even after I've washed my face. 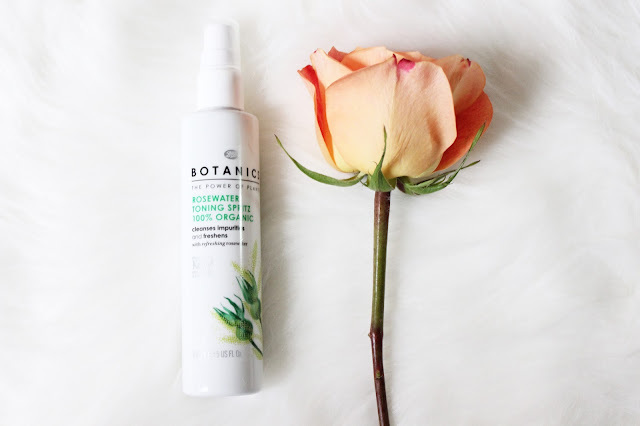 Boots Botanics Rose Water Toning Spritz also helps to shrink my pores which I love! Oh, and it has a faint sweet scent that makes it that much more refreshing. I know you've heard the saying old habits die hard. 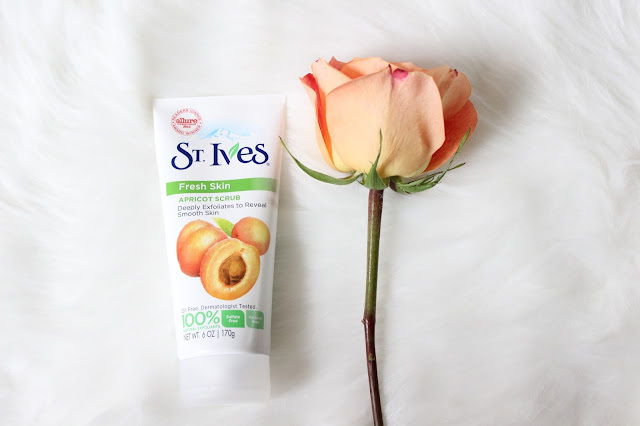 That's definitely not a bad thing when it comes to the St. Ives Apricot Scrub. I've been buying this since I was a teenager and I still love it. It's one of my go to beauty products. I love how bright and smooth it makes my skin. Using these 3 products I've created a simple summer beauty routine that seems to be working for my skin right now. Check out my summer beauty routine below. 2. Wash face and neck with warm water using St. Ives Apricot Scrub. 3. Spritz face with Boots Botanics Rose Water Spray after daily cleansing. 4. Use Boots Botanics Clay Ionic Clay Mask Shine Away 1x a week. Simple right? It's super easy and effective for my skin this summer. I'll be starting my fall beauty routine research soon so that I'm prepared and I'll be sure to share my finds with you right here. Until then, comment below and tell me what you use for your summer beauty routine. Remember to to sign up for some new upcoming goodies that you can only get if you're on the list!